University of Washington Press, 9780295993515, 422pp. This innovative field guide includes stories, photographs, maps, and diagrams on a hundred landscape features across the American West. Features are grouped according to type, such as natural landscapes, farms and ranches, places of special cultural identity, and cities and suburbs. Unlike the geographic organization of a traditional guidebook, Wyckoff's field guide draws attention to the connections and the differences between and among places. Emphasizing features that recur from one part of the region to another, the guide takes readers on an exploration of the eleven western states with trips into their natural and cultural character. 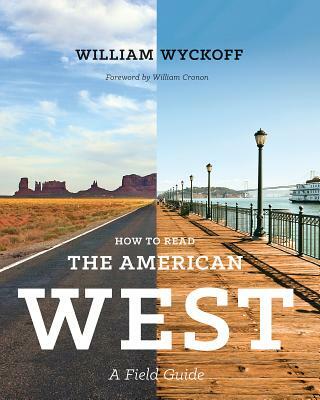 How to Read the American West is an ideal traveling companion on the main roads and byways in the West, providing unexpected insights into the landscapes you see out your car window. It is also a wonderful source for armchair travelers and people who live in the West who want to learn more about the modern West, how it came to be, and how it may change in the years to come. Showcasing the everyday alongside the exceptional, Wyckoff demonstrates how asking new questions about the landscapes of the West can let us see our surroundings more clearly, helping us make informed and thoughtful decisions about their stewardship in the twenty-first century. William Wyckoff is a professor of geography at Montana State University.